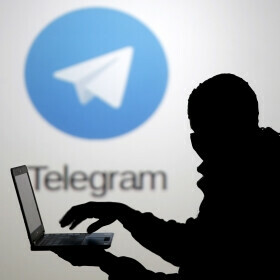 The relationship between Russia and the Telegram messaging app has been shaky at best, and now the Russian government is on its case once more after the country's main security agency, FSB, said that the app was used by the suicide bomber who killed 15 people in St Petersburg in April. The Russian government has already threatened to ban the app before, when Pavel Durov, its founder, refused to cooperate with regulators after a new law was accepted in the country. According to said law, all personal data sent by Russian citizens on the Internet must be stored on servers that are physically based in Russia. Companies that do not abide will be placed on a blacklist by Roskomnadzor, Russia's government communication watchdog. According to Durov, the agency requested the encryption keys, so it can read users' correspondence and catch other terrorists before they manage to pull off their plans. Durov refused to give them up. He said that it would be against the Russian constitution and no one in Telegram has access to the encryption keys anyway. Telegram has about 100 million users, and due to its high level of encryption, it's a popular choice for correspondence among terrorists, including ISIS. The extremist organization used the app to take responsibility for the attack on London Bridge last month. “If you want to defeat terrorism by blocking stuff, you'll have to block the Internet,” Durov wrote for Reuters. Sometimes in the name of security, we, the citizens are forced to give up on some of our privacy. The best things is not to have anything online that that needs privacy.